Since the early morning students have joined the others that camped in the University Parken to reserve a spot for the Kapsejladsen – the Aarhus University boat race. If Danish students tell you they have to get up at 6 am to reserve a spot at the Aarhus University lake to breakfast with only + 7 ° C temperature, getting their beer cans popping at 8 am, they are not kidding. Today is the biggest social event in Aarhus: Kapsejladsen an over 20 year old event borrowed from prestigeous British boat races and turned into a somewhat Vikings-spin-the-beer-bottle-routine. Since the last days all around Aarhus University one could observe students making arrangements on meeting throughout the day, stocking up on their beer supplies and baking breadrolls to feast on their beloved bøller med smør (buns with butter). All through the weeks, the participating teams of 12 faculties have been seen doing test runs with the referees on the lake. “The teams start practicing very early in the year'”, last year’s political science team member Lærke Dahl Clausen explains. “First practices include learning how to empty the beer bottle as fast as possible and how to practice balance during the spinning around the bottle routine. As for the organising team and eight time champion, the medicine faculty: their participating students are known to practice even the roaring in a swimming hall each winter”, says Clausen. 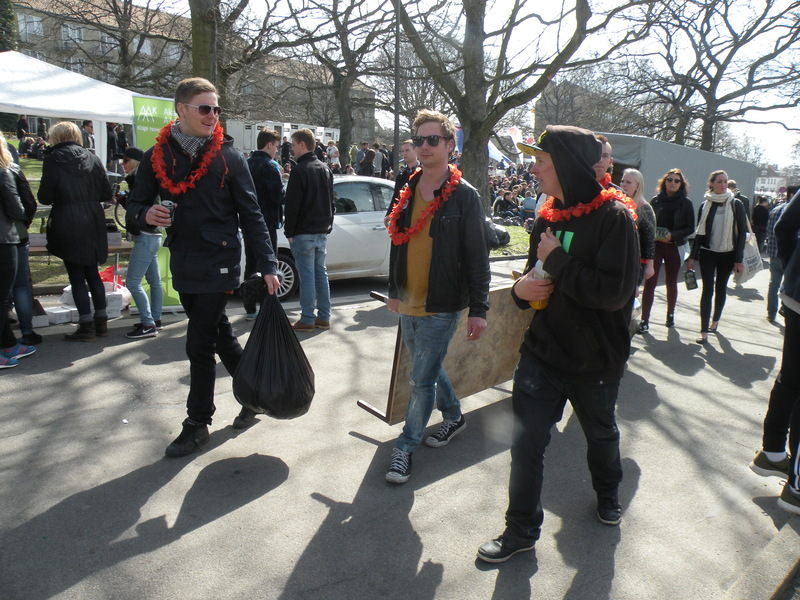 With up to four practices each week closing to Kapsejladsen week, the participating teams also have to take precautions on the amount of alcohol they drink. “We start practicing with a special non-alcoholic beer”, he adds. “Its features are similar to real beer, so we get the right foam while shaking the liquid out of the bottle. What looks for outsiders like a fun reason to get everybody outdoors to drink together is for the participants a marathon of preparations. “You have to get used to do the drinking and the spinning”, says Clausen. One thing at a time is tricky, but doing the drinking and the spinning and not falling down drop drunk becomes a skill itself.